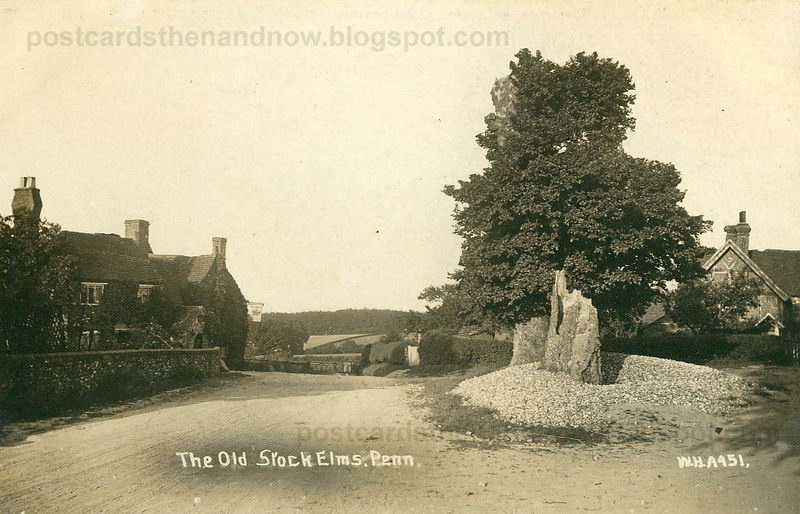 Penn, Buckinghamshire, The Old Stock Elms, circa 1911. The elm trees were replaced by the War Memorial, erected in 1922. The pub on the left is The Crown, still in business. Postcard published by W. H. Applebee in 1912, from an earlier negative by Young & Co, circa 1911. Click the picture to enlarge. Still lovely, though the first one seems more bucolic.